From the outset, it is important to recognize that the very term "lactic acid bacteria" has no official status in taxonomy and that it is really just a general term of convenience used to describe a group of functionally and genetically related bacteria. Still, the term carries rather significant meaning among microbiologists and others who study food fermentations, and, therefore, will be used freely in this text. Accordingly, the lactic acid bacteria are generally defined as a cluster of lactic acid-producing, low %G+C, non-spore-forming, Gram-positive rods and cocci that share many biochemical, physiological, and genetic properties (Table 2-1).They are distinguished from other Gram positive bacteria that also produce lactic acid (e.g., Bacillus, Listeria, and Bifidobacterium) by virtue of numerous phenotypic and geno-typic differences. In addition to the traits described above, other important properties also characterize the lactic acid bacteria, but only in a general sense, given that exceptions occasionally exist. Most lactic acid bacteria are catalase-negative, acid-tolerant, aerotolerant, facultative anaerobes. In terms of their carbon and energy needs, they are classified as heterotrophic chemoorganotrophs, meaning that they require pre-formed organic carbon both as a source of carbon and energy. Until recently, it was thought that all lactic acid bacteria lack cytochrome or electron transport proteins and, therefore, could not derive energy via respiratory activity. This view, however true for the majority of lactic acid bacteria, has been revised, based on recent findings that indicate some species may indeed respire, provided the medium contains the necessary nutrients (Box 2-1). Still, substrate level phosphorylation reactions that occur during fermentative pathways (see below) are the primary means by which ATP is obtained. Look up "lactic acid bacteria" in any older (or even relatively recent) text, and in the section on physiological characteristics, it will likely be stated that these bacteria "lack cytochromes and heme-linked electron transport proteins" and are, therefore,"unable to grow via respiration" In fact, this description was considered to be dogma for generations of microbiology students and researchers who studied these bacteria, despite the occasional report that suggested otherwise (Ritchey and Seeley, 1976; Sijpesteijn, 1970). In the past few years, however, it has become apparent that this section on physiology of lactic acid bacteria will have to be re-written, because biochemical and genetic evidence, reported by researchers in France, now supports the existence of an intact and functional respiratory pathway in Lactococcus lactis and perhaps other lactic acid bacteria (Duwat et al., 2001; Gaudu et al., 2002). Respiration is the major means by which aerobic microorganisms obtain energy. During respiration, electrons generated during carbon metabolism (e.g., citric acid cycle) are transported or carried across the cytoplasmic membrane via a series of electron carrier proteins. These proteins are arranged such that the flow of electrons (usually in the form of NADH+) is toward increasing oxidation-reduction potentials. Along the way, protons are translocated across the membrane, effectively converting an oxidation-reduction potential into a proton electrochemical potential.This proton potential or proton motive force (PMF) can drive transport, operate flagella motors, or perform other energy-requiring reactions within the membrane. It can also be used to make ATP directly via the ATP synthase.This reaction (called oxidative phosphorylation) provides aerobes with the bulk of their ATP and is the coupling step between the respiratory electron transport system and ATP formation. For respiration to occur in lactococci, several requirements must be met. First, the relevant genes encoding for electron transport proteins must be present, and then the functional proteins must be made. Based on physiological and genetic data, these genes are present and the respiratory pathway is intact in a wild-type strain of Lactococcus lactis (Vido et al., 2004). In this and presumably other strains of lactococci, this pathway is comprised of several proteins, including dehydrogenases, menaquinones, and cytochromes. In particular, cytochrome oxidase (encoded by cydAB) serves as the terminal oxidase and is essential (Gaudu et al., 2002). Missing, however, is a system for making porphyrin groups.The latter is combined with iron to make heme, which is required for activity of cytochrome proteins, as well as the enzyme catalase. Thus, heme (or a heme precursor) must be added to the medium for respiration to occur. Respiratory growth follows a fermentative period and occurs primarily during the later stages of growth. Interestingly, expression of the heme transport system is subject to negative regulation, mediated by the catabolite control protein CcpA (Gaudu et al., 2003). Recall that the activity of this regulator is high during rapid growth on glucose and that genes for other catabolic pathways are repressed. Thus, it appears that CcpA might be the metabolic conduit between fermentation and respiration. is to maximize cell biomass while maintaining cell viability. Thus, the respiration story has certainly captured the attention of the starter culture industry (Pedersen et al., 2005). Finally, since lactococci do not have an intact citric acid cycle, the electrons that feed the respiratory chain cannot be supplied from the citric acid cycle-derived NADH pool (Vido et al., 2004). Instead, they must be generated though other pathways. These recent findings on lactococci have not yet been extended to other lactic acid bacteria. However, based on several sequenced genomes, it appears that cyd genes may be present in other lactococci as well as some oenococci and leuconostocs (but are absent in Streptococcus thermophilus and Lactobacillus delbrueckii subsp. bulgaricus). 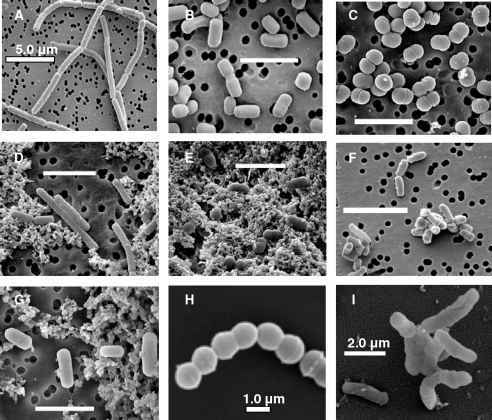 If, and under what circumstances these bacteria actually perform respiration, is not known.As had initially been reported thirty years ago, and re-confirmed by these more recent studies, molar growth and ATP yields are higher during respiratory growth.Thus, it may well be that the respiratory pathway provides these bacteria an alternative and efficient life-style choice, were they to find themselves back out in nature rather than in the confines of food environments (Duwat et al., 2001). Lactococcus lactis. Mol. Microbiol. 50:183-192. Gaudu, P., K.Vido, B. Cesselin, S. Kulakauskas,J.Tremblay, L. Reza'iki, G. Lamberet, S. Sourice, P. Duwat, and A. Gruss. 2002. Respiration capacity and consequences in Lactococcus lactis.Antonie van Leeuwenhoek 82:263-269. Pedersen, M.B., S.L. Iversen, K.I. S0rensen, and E. Johansen. 2005.The long and winding road from the research laboratory to industrial applications of lactic acid bacteria. FEMS Microbiol. Rev. 29:611-624. Ritchey,T.W., and H.W. Seely. 1976. Distribution of cytochrome-like respiration in streptococci. J. Gen. Mi-crobiol. 93:195-203. Sijpesteijn, A.K. 1970. Induction of cytochrome formation and stimulation of oxidative dissimilation by hemin in Streptococcus lactis and Leuconostoc mesenteroides.Antonie Van Leeuwenhoek 36:335-348.
occupied by lactic acid bacteria, which include not only plant material, milk, and meat, but also salt brines, low pH foods, and ethanolic environments. Perhaps the most relevant properties of lactic acid bacteria are those related to nutrient metabolism. Specifically, the main reason why lactic acid bacteria are used in fermented foods is due to their ability to metabolize sugars and make lactic and other acid end-products. Two fermentative pathways exist. In the homofer-mentative pathway, more than 90% of the sugar substrate is converted exclusively to lactic acid. In contrast, the heterofermentative pathway results in about 50% lactic acid, with the balance as acetic acid, ethanol, and carbon dioxide. Lactic acid bacteria possess one or the other of these two pathways (i.e., they are obligate homofermentative or obligate heterofermenta-tive), although there are some species that have the metabolic wherewithal to perform both (facultative homofermentative). These pathways will be described in detail later in this chapter.